March Blog: From Dolphin Kisses to Princess Parties! Brody has been super tough in his battle with a grade II brain tumour, but during his dream trip he could focus on what’s really important: just being a kid! 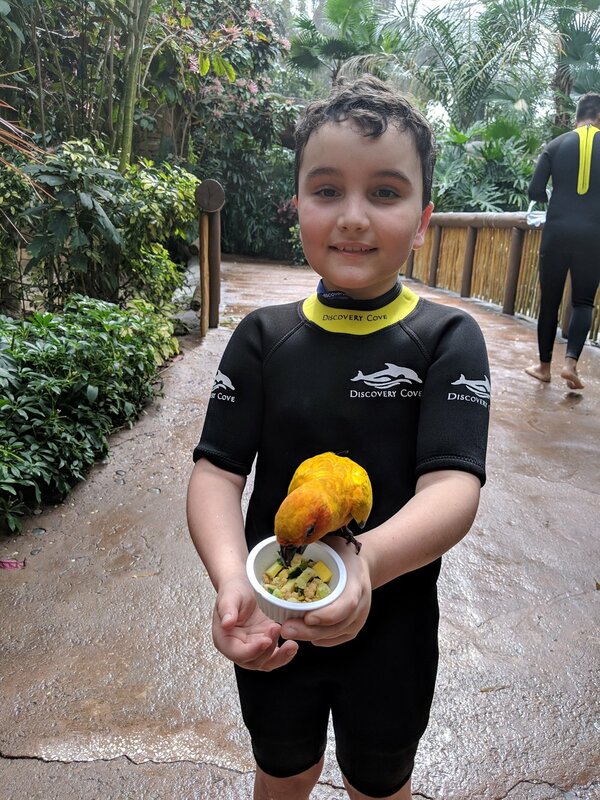 Brody swam with the dolphins at Discovery Cove and enjoyed a week of fun in the sun! Kailyn just recently had the opportunity to go on the shopping spree of her dreams! Joined by her family, important stops included Michaels and Walmart for all of the arts and craft supplies you could imagine. It was a great day made even better by a lunch stop for Kailyn’s favourite food - ribs! A week later - Kailyn had one more very special surprise when members of her class back home in Cranberry Portage were flown down to spend the day with her. Check out the article here. Thanks to our friends at Fairmont Winnipeg for hosting Kailyn and her family during their dream experience. Azariah was only three months old when her family learned that she had a rare form of kidney cancer called Wilm’s Tumour. It was rare enough for someone as young as Azariah to be diagnosed, but even rarer to have tumours on both kidneys. Over the last three years, Azariah has been an absolute trooper, handling all of the tests and treatments along the way. It has been so incredibly tough on her parents and her siblings, and this whole family could benefit from some of the hope and joy that comes from a dream come true. Earlier this month, we were so excited to celebrate Azariah’s 4th birthday. We hosted a very special Princess Party at Aunt Monica’s Attic and had some of our friends, Cinderella and Tinkerbell stop by for lunch and a tea party. Check out our video to see her reaction! Our thanks to our friends at Heather’s Pretty Parties and Aunt Monica’s Attic for making the day extra special. There are a few special thanks we want to send out to some wonderful folks who have helped bring dreams to life so far in 2019! Cora’s St Vital - We were very grateful to receive an incredibly generous donation to commemorate the grand opening of the new Cora’s restaurant (845 Dakota St.). Dream Kid Grace even had an opportunity to meet Madame Cora herself. Canada Life - Our sincere thanks to our friends at Canada Life for making a very generous contribution in support of a dream come true! 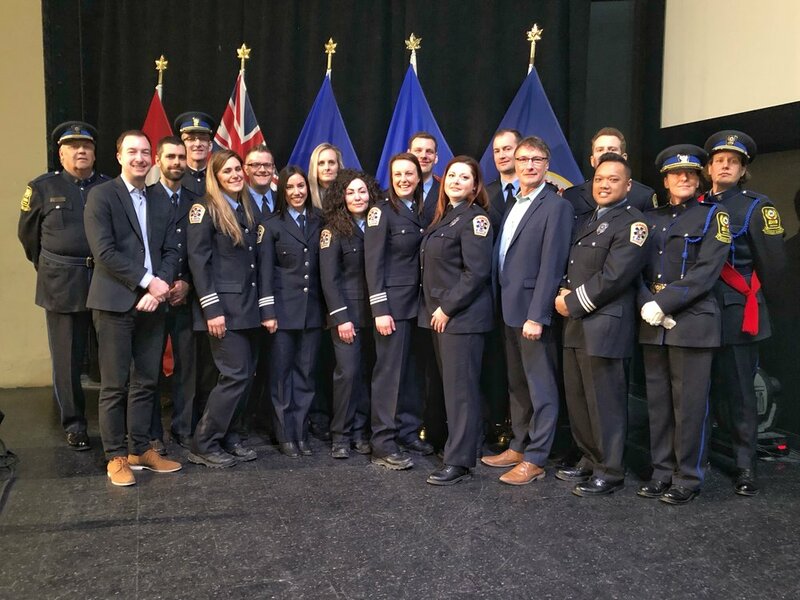 WFPS ACP Class of 2018 - It was a true honour to attend the 2018 WFPS Advanced Care Paramedic graduation The 2018 class decided to make donation to The Dream Factory to commemorate their achievement and we can't thank them enough for the incredibly thoughtful gesture. Congratulations to the 2018 class and THANK YOU for all that you do in our community. Winnipeg Goldeyes Field of Dreams Foundation - The Winnipeg Goldeyes have been wonderful supporters of The Dream Factory throughout the years, and we were thrilled to receive a 2019 grant to support a shopping spree dream this year. Go Goldeyes!